The Students at Harris Middle School Were Given a Great Holiday Gift! 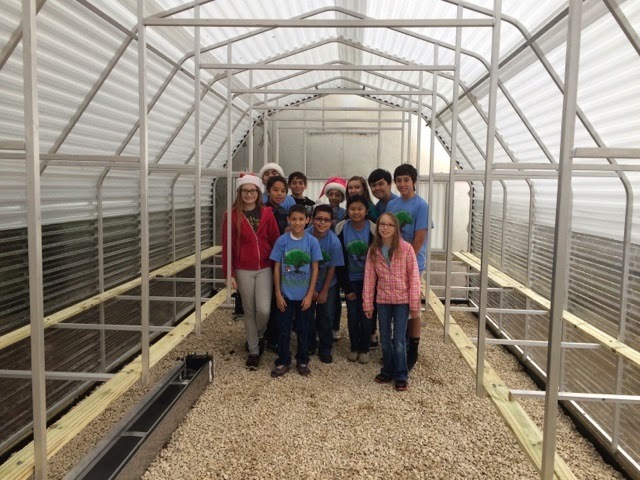 The Harris Green Team was surprised to find their greenhouse finally installed This Friday. Thanks to Grennhouses, Etc. for doing such a great job for the students at Harris and special thanks to all that supported us to make this possible. Mrs. Trevino and Ms. Windwehen are very grateful that it is almost complete! Please contact us using the tool to the right of our page if you'd like to schedule a visit.